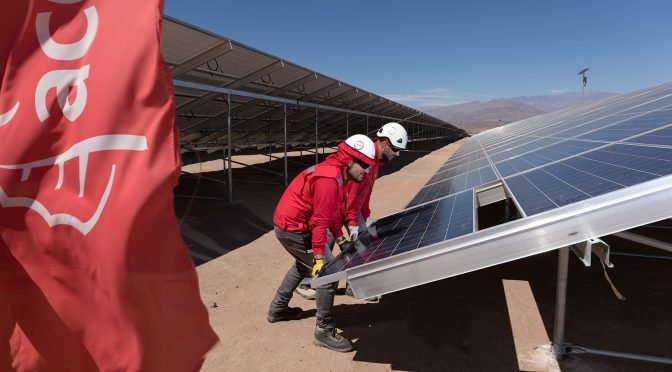 ACCIONA Energía has started construction work on the Puerto Libertad photovoltaic complex, developed in a joint venture (on a 50-50 basis) with Tuto Energy in the State of Sonora (Mexico). With 404 megawatts peak power (MWp) – 317.5 MW rated capacity – the photovoltaic plant will have one of the highest capacity in Mexico and Latin America and will be the biggest renewables project ever undertaken by ACCIONA Energía in the world. Part of this capacity will be used to send power to the grid in the last trimester of 2018 and the whole plant will be operational in early 2019. Of the total capacity of the photovoltaic plant, 229 MWp (180 MW nominal) will be used to supply energy to the Federal Electricity Commission (CFE), following the award made in the second long-term energy auction held in September 2016. Another 114 MWp (90 MW nominal) comes under a private energy purchase and sale contract between the consortium that owns the project and the company Tuto Energy Trading. This capacity will be sent to the installations of a major Mexican industrial group. Finally, the energy produced by the remaining 61 MWp (47.5 MW nominal) will be sold on the wholesale electricity market following the extension of the scope of the project, with a view to optimizing its generation capacity in an area with an excellent solar resource. “We are very pleased to announce the start of construction work on this great renewable energy project, one that is emblematic for ACCIONA and Mexico. It points towards an economically, socially and environmentally sustainable power system, jointly undertaken with a prestigious partner, Tuto Energy”, says ACCIONA Energía México Director Miguel Angel Alonso. According to Roberto Giesemann, CEO of BIOFIELDS and TUTO ENERGY, “the materialization of this investment strengthens the group’s strategy to consolidate itself as a key player in sustainable activities in Mexico that create economic, social and environmental value”. Puerto Libertad will cover almost 10 km2 in the municipality of the same name near the Mar de Cortés coast in the Gulf of Baja California, around 200 kilometers north-west of Hermosillo, capital of the State of Sonora. The facility that will head the ranking of the biggest photovoltaic plants in Latin America will be equipped with 1,222,800 polycrystalline silicon panels mounted on horizontal tracker systems. These are programmed to track the sun’s path across the sky from dawn to dusk. Placed in a straight line, the structures (20,380 units, each one 59.46 meters long) would cover a distance of 1,212 kilometers, similar to the distance between Mexico City and Houston. With a total solar capture area of 2.4 km2 (equivalent to 333 soccer fields), Puerto Libertad will produce around 963 gigawatt-hours (GWh) of power per year, sufficient to cover the electricity demand of 583,000 Mexican homes. As it is renewable, this energy will avoid the emission of 925,443 tonnes of CO2 to the atmosphere from coal-fired power stations, representing a cleaning effect on the atmosphere of more than 46 million trees. ACCIONA Energía will carry out the turnkey construction of the plant in the Engineering, Procurement and Construction (EPC) modality. It will also undertake its operation and maintenance for two years, after which time this function will be taken over by a joint venture set up by the two partners in the project. With preliminary work already started, the construction phase will run until the first trimester of 2019. During that time an average 500 direct jobs will be created, with activity peaks of up to 900 workers. In the operational phase, the plant will provide stable employment for 38 people. Puerto Libertad marks the entry of ACCIONA into the photovoltaic sector in Mexico, where it already holds a leadership position in the wind power sector with 858 MW installed, for itself or for other customers. It is currently building a 183 MW wind farm (under its ownership) in the State of Tamaulipas. The Mexican photovoltaic sector will undergo strong growth in the next few years. Forecasts indicate 8,000 MW capacity in 2020, in comparison to the 450 MW currently in operation, according to figures from the Mexican Solar Power Association (Asolmex). ACCIONA Energía is a global operator in renewable energies with over 20 years’ experience in the sector and almost 9,000 MW under its ownership. It owns and operates 220 wind farms totaling 7,298 MW; 79 hydro plants (888 MW); 6 CSP plants (314 MW); photovoltaic plants totaling 389 MWp and three biomass plants (61 MW). 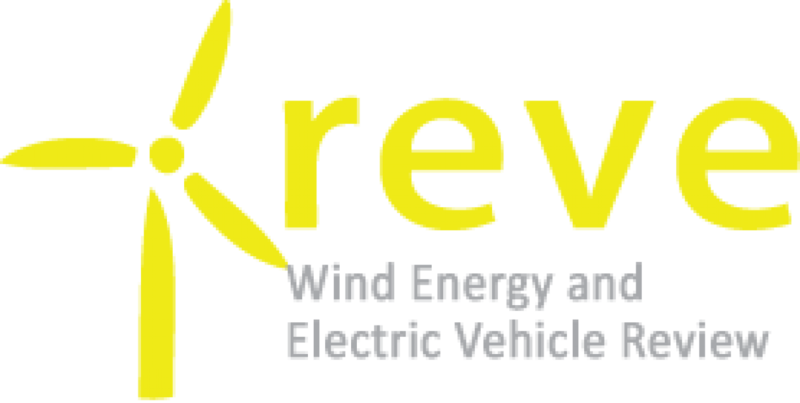 The company develops projects for customers in wind and photovoltaic power, and markets power to large customers.